Here are a few of my favourite articles and blog posts from May 2018. 1. The first wobble. Four weeks ago, I was thrilled to discover that Nichola had taken on an allotment. I wish everyone would. 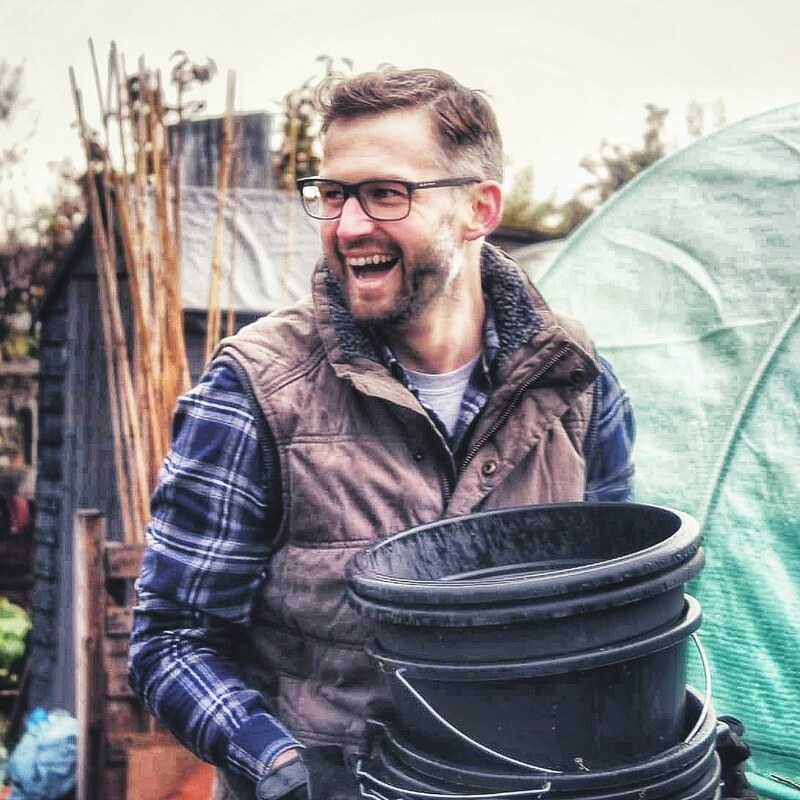 In this post, Nichola writes about the overwhelming feeling all of us have experienced when taking on an allotment garden. It’s unfortunate that when our name arrives at the top of the allotment waiting list, the plot we are offered is rarely clean and ready for us to throw our seeds into. What’s wonderful about her post is the positive words of encouragement to herself and anyone else taking on a plot. 2. No.27 is coming alive! Life is busy. And for that roving gardening blogger Annabelle, it’s certainly the case. However, in this joyous post, she’s catching up with the new growing season and doing what so many of us allotment gardeners do – cherishing the new growth bursting into life on our plots. Go on – breath it all in. 3. Even The Smallest Space Can Make A Difference. This is a fantastic post from The Oldham’s. On the face of it, life in urban areas can feel limited in terms of opportunity to garden and particularly to grow your own fruit and veg. However, if you think outside the box and embrace the space you have (in many directions) you can do some fantastic stuff with the small spaces you have. 4. Two significant milestones. It’s always worth celebrating a milestone. Mark’s popping the cork as he has two! If you didn’t know, Mark has extended his growing space from his already incredibly productive raised bed kitchen garden and taken on a different style of growing his own. The digging is finished and the radishes are already out of the ground and no doubt in his belly – Always one willing to share his wisdom, I’m enjoying following along on his new growing experience. 5. Allotment: Getting ready to grow. Already one to regularly share her incredible good life journey over on Instagram, Rachel has provided a new blog post telling us all about the busy and exciting start to the new growing year on her allotment. It’s busy, it had its frustrations and I’m sure all of us will nod along with the sense of shared experience. 6. Chillies: Why I love them & how I grow them. I love chillies and I’m sure many of you will consider yourselves a chilli aficionado. Annie is certainly one! In this wonderful read, she shares her experiences and a serious passion for growing and enjoying all the chillies she grows. 7. The instant boxes aren’t working. Try Gardening. This is such an incredibly inspiring post from Matt. I found myself reading it saying yes, Yes, YES! Gardening is a shared experience to be treasured and a tool for relaxation. Take it up. Tell others to take it up. It will offer you so much more than you can ever imagine. 8. Allotment Month 30: a close look at 2018’s plan. Jack inspires me as an allotment gardener so much. It’s a 45-minute journey to his plot and he manages it with just a few hours a week. But he brings so much to it as a gardener and designer and so it’s always rewarding when he shares his thoughts on how he is setting out his plot and what he plans to grow. Here he set’s out his allotment plan for 2018. 9. Allotment Adventures: Everything is growing but mostly the weeds. One thing I love about the blogs in May is the fact we can all share and enjoy the growth and burst of life hitting out plots. And yes, as Nic’s title points out, there’s always going to be those pesky weeds too! 10. What’s in the Greenhouse? The Small and Mighty Year. Armed with his bargain find of a greenhouse, Jono is back on the blog sharing what he’s got growing on inside. If you’ve followed some of his recent posts, you’ll know he’s easing himself back into the grow your own action since moving house. Small and mighty is the theme.. and a little restraint too. compared with some of the other people whose blogs are mentioned here, I have a really easy life – my new plot is only 5 minutes walk away, and was not difficult to renovate. Battles with the wildlife (specifically, pigeons!) continue though! Just wanted to say a quick thank you to you Richard for featuring my little blog post on Chillies amongst so many other amazing blogs on here! I really enjoy reading your posts and was so surprised (and a little bit chuffed!) to wake up and see you had mentioned mine! All the best and happy growing, Annie. Don’t be daft Nic. Loving the updates from the plot.